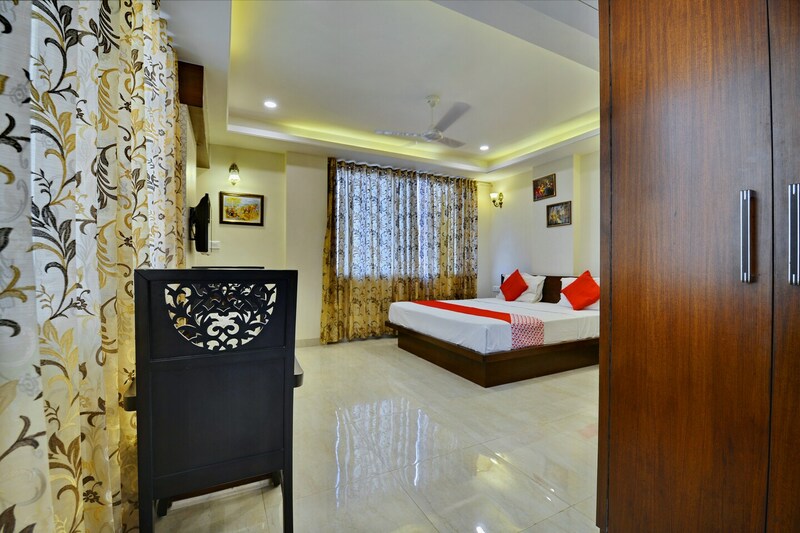 Hotel Cheelgadi can be considered as a good example of an amazing combination of modern facilities and contemporary interior designs. The rooms have been painted in warm hues such as yellow and are well-furnished. The rooms have been provided with large windows which are covered by long, patterned curtains. The additional facilities provided by the hotel are free Wi-Fi, a power backup supply, a parking area, a room heater in each room, card payment in all forms, an elevator facility, wheelchair accessibility, laundry provisions, and CCTV cameras. The other in-house facilities provided are a common dining area, a conference room, a banquet hall, and a restaurant. All these facilities help the customers to relax and rejuvenate after a long and tiring day.